From the private collection of Conrad Brooks - High Resolution photograph of Bela Lugosi at work sculpting a self portrait in clay. 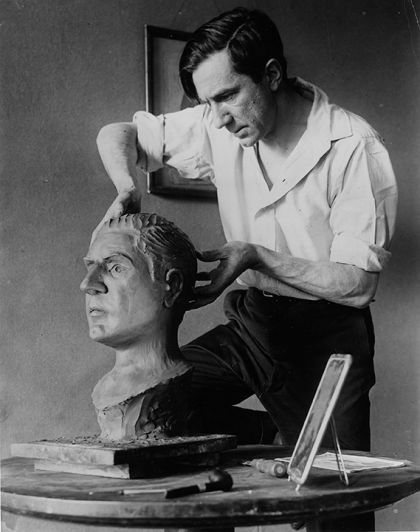 Lugosi was an artist in his own right, working in many mediums but having greatest success in sculpting. It cannot, however, be verified if Lugosi actually created this bust, but it does make a great promotional photo.